Abstract: Companies that work according to ISO 9000 standards have to maintain a set of documents describing the quality system that include policies, procedures and instructions to assure the final product’s conformance with ISO 9001 requirements, the aim of this research is to develop and design the QMSISO system by referring to clause 4 Quality management system of ISO 9001-2008, ISO TR 10013 -2001, and ISO/TC 176/SC 2/N 525R2 Guidance on the documentation requirements of ISO 9001-2008 to effectively implement the ISO 9000 in a real environment, the QMSISO overall effectiveness assessment results found to reach an effectiveness ratio is 76.5 %, The documentation process improvement achieved through reducing the time required to finding a particular document is 97 %, the percentage of improvement in procedure document approval time to reach 89 % and the paper consuming improvement percentage is 100 %.The results showed the feasibility of using QMSISO by companies to get certified to ISO 9001. Keywords: Quality Management System, ISO 9001, Content Management System, Drupal, Document Management System. TRICKER, R., "ISO 9001:2008 for Small Businesses", 4th ed., Elsevier Science, 2009. OAKLAND, J. S., "Oakland on Quality Management", Elsevier Butterworth-Heinemann, 2004. KHANNA, LAROIYA, S. C. and SHARMA, D. D. "Quality Management in Indian Manufacturing Organizations: Some Observations and Results from a Pilot Survey", Brazilian Journal of Operations & Production Management, vol. 7, pp. 141-162, 2010. HOYLE, D., "ISO 9000 Quality Systems Handbook", Elsevier, 2009. JURAN, J. M.and GRYNA, F. M., "Juran Quality Control Handbook," 5th ed., New York,McGraw Hill Company, 1998. DŽAMBAS, I., PAVLETIĆ, and PERINIĆ, M. "MANAGEMENT OF ELECTRONIC DOCUMENTS IN QUALITY MANAGEMENT SYSTEM ON TF RIJEKA", Eingineering Review, vol. 30, n. 1, pp. 117 - 123, 2010. SCHLICKMAN, J., "ISO 9001: 2000 Quality Management System Design. ", Boston,Artech House, 2003. M. Young, The Techincal Writers Handbook. Mill Valley, CA: University Science, 1989. Abstract: Mapping Land use /Land cover (LULC), changes studies have become interesting over the past decades through using remote sensing. It is essential for a wide range of applications, including landslide, erosion, urban growth, agricultural expansion, land planning, global warming etc. In this study, LULC changes in a new Capital, North-East Cairo are investigated by using remote sensing images acquired by (Nano satellite / Planet Labs). For this purpose, firstly supervised classification technique is applied to Planet Labs images acquired in 21December, 2016 and 14 July, 2017. Image classification of four reflective bands of the two images is carried out by using maximum likelihood method with the aid of ground truth data obtained from topographic maps cover the studying area (25x21km). The second part concern is detecting land use land cover changes by using change detection comparison (Image Differencing Method). In the third part of the study, land cover changes are analyzed according to the different features by using ERDAS functions. The results indicate that land cover changes have occurred in the urban area were increased approximately by 1,847,790 sq. m and roads area by 245,385 sq. m while a decrease in bare soil areas by -2,093,175 sq. m. This occurred due to the rapid construction operation. It can be seen that the LULC changes were occurred by the rate of 1,395,450 sq. m. per year in the development area East side of the new Capital. Keywords: Remote Sensing, Land Use / Land Cover (LULC), Change Detection, Supervised Classification. Author: Pavel Ukrainski Junior researcher at Regional federal centre of aerospace and ground monitoring of objects and natural resources at National Research University BelGU. Abstract: This paper proposes a method to operate a grid connected hybrid system which comprises photo voltaic (PV) array and proton exchange membrane fuel cell (PEMFC). To deliver highest power to load continuously PV array uses maximum power point tracking (MPPT) technique when there are variations in irradiation and temperature, and makes it as an uncontrollable source. The output power of hybrid system becomes controllable with the coordination of PEMFC. The coordination of the two operating modes unit-power control (UPC) mode and the feeder-flow control (FFC) mode are applied to the hybrid system and determination of reference parameters are presented. The proposed operating strategy operates the PV array at maximum output power and the PEMFC with high efficiency performance band to enhance the performance of the system operation, system stability and decreasing the number of operating mode changes. Keywords: Photovoltaic, fuel cell, hybrid system, distributed generation, micro-grid, and power management. 3. W. Xiao, W. Dunford and A. Capel, “A novel modeling method for photovoltaic cells,” in Proc. IEEE 35th Annu. Power Electronics Specialists Conf., Jun.2004, vol.3, pp.1950-1956. 7. Hajizadeh and M.A. Golkar, “Power flow control of grid-connected fuel cell distributed generation systems,” J.Elect Eng. Technol, vol.3, no.2.pp. 143-151, 2008 C.
9. C. Hu, C. Shen and J. Lin “ Implementation of a DSP-controlled photovoltaic system with peakpowertracking,” IEEE Trans. Ind Electron, vol.45, no.1,pp. 99-107, Feb.1998. 10. N. Mohan, T.M. Undeland, and W.P. Robbins, Power Electronics Converters, Applications and Design , 2nd ed New York: Wiley 2003. Abstract: In Present Scenario, Wet scrubbing, a relatively new technology, is used on absorption of pollutants such as carbon dioxide (CO2), unburned hydrocarbons (UHC), oxides of nitrogen (NOX) and lead and other particulate emissions from the engines. Fabrication and falls into the category of automobiles. The total cost of the experimental modal price is 6225 INR. In today’s developing world, filtering and cleaning of exhaust gases from automobiles are essential before launching them into the atmosphere. Systems like catalytic converter and scrubber system plays essential role. When the catalytic converter fails to deliver its desired work, Hydrocarbon, Carbon monoxide and NOx directly goes into the atmosphere which is directly impacts on human health and pollutes the environment. To identify the problem, which we have implement to “Advanced Scrubber System”. This works on the principle of simple reaction between exhaust gases and scrubbing liquid. It is filtration process which removes the HC and CO from exhaust gases by passing through three different modules. Lapple, C.E. and H.J. Kamack, “Performance of Wet Dust Scrubbers”, Chemical Engineering Progress, vol. 51, March 1955. San Diego, “Scrubber Selection Guide”, Calvert Environmental Equipment, , 1988. John S. Eckert & Ralph F. Strigle Jr. “Performance of Wet Scrubbers on Liquid and Solid Particulate Matter”, 2012. Daniel Mussatti, Paula Hemmer, “Wet Scrubbers for Particulate Matter”, 2002. I. Accortt, A. L Plumley and J. R. Martin , “Fine Particulate Removal and S02 Absorption with a Two Stage Wet Scrubber”. Calvert, S., How to choose a particulate scrubber, Chem. Eng., 54-68, August 29, 1977. Calvert, S., J. Goldsmith, G. Leith, and D. Metha, “Scrubber Handbook”, NTIS, Springfield, VA, 1972. P. Munger, "Present status of air pollution research," Mech. Eng. 73: 405(1951). Schifftner, K.C. and H.E. Hesketh, Wet Scrubbers (2nd Edition), Technomic Publishing, Lancaster, PA, 1996. Advanced Air Technologies, Inc., technical information on scrubbers, www.aatinc.com/scrubbing_zone.htm, 2002. Semrau, K.T., “Dust Scrubber Design - A Critique on the State of the Art,”” Journalof Air Pollution Control Association, vol.13, December 1963. Abstract: This paper introduces a new heuristic model for transmission expansion planning (TEP) which uses a multi-criteria decision making (MCDM) framework. In order to do this, at first, new candidates are recommended for TEP. Investment cost and total cost are calculated for new candidates that are considered for the existing test system. Finally, using an analytic hierarchy process (AHP) and Simple additive weighing (SAW), the ranking is allotted according to the best optimal cost which is selected among candidates. IEEE 24-Bus system is used to confirm the proposed algorithm’s performance. Keywords: Transmission Expansion Planning, Multi-Criteria Decision Making Methods, Analytic Heirarchy Process, Simple Additive Weighting. Abstract: Pakistan, a developing country of South Asia, is an energy deficient country. The power sector of the country is suffering due to inadequate capacity and insufficient fuel supply to its power plants, resulting in load shedding. Pakistan despite being greatly blessed with Renewable Energy resources depends on fossil fuels for electricity generation. The reliance on fossil fuels is not only effecting foreign currency reserves of the country but also increasing Green House Gas emission. According to estimates, share of renewable energy in total energy mix is around 1%. This paper highlights the potential of renewable energy development in Pakistan with particular focus on the potential and development of solar energy in the country. The estimated potential of solar energy is 2.9 Million MW in Pakistan. The exploitation of solar energy resource can contribute to sustainable development and also offers socioeconomic benefits. This paper also illustrates the potential applications and benefits of solar energy, and the sustainability of this technology. In addition, the barriers to solar energy development despite its enormous potential have also been discussed. Keywords: Energy crisis, Renewable energy, Solar energy, Sustainable energy delivery. "Power Data Reference Book", 2017. [Online]. 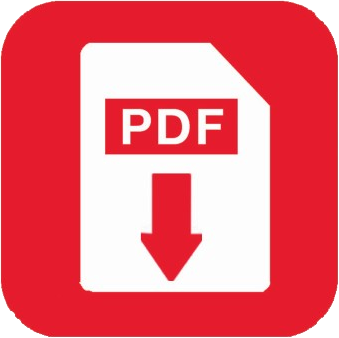 Available: http://www.ntdc.com.pk/Files/dfbookvol2-Iss-2010-17.pdf [Accessed: 22- Dec- 2017]. Farooq and S. Kumar, "An assessment of renewable energy potential for electricity generation in Pakistan", Renewable and Sustainable Energy Reviews, vol. 20, pp. 240-254, 2013. Rafique and S. Rehman, "National energy scenario of Pakistan – Current status, future alternatives, and institutional infrastructure: An overview", Renewable and Sustainable Energy Reviews, vol. 69, pp. 156-167, 2017. Ghafoor, T. Rehman, A. Munir, M. Ahmad and M. Iqbal, "Current status and overview of renewable energy potential in Pakistan for continuous energy sustainability", Renewable and Sustainable Energy Reviews, vol. 60, pp. 1332-1342, 2016. Khurshid, "Policy Options for promotion of Renewable Energy in Pakistan", http://www.pc.gov.pk/wp-content/uploads/2013/12/Policy-options-for-renewable-enrgy.pdf, 2013. Shaikh, Q. Ji and Y. Fan, "The diagnosis of an electricity crisis and alternative energy development in Pakistan", Renewable and Sustainable Energy Reviews, vol. 52, pp. 1172-1185, 2015. Rauf, S. Wang, P. Yuan and J. Tan, "An overview of energy status and development in Pakistan", Renewable and Sustainable Energy Reviews, vol. 48, pp. 892-931, 2015. UNIDO, "World Small Hydro power Development Report", 2013. Private Power and Infrastructure Board, "Key Statistics about Pakistan’s Power Sector (FY 2010-11)", 2011. Amer and T. Daim, "Selection of renewable energy technologies for a developing county: A case of Pakistan", Energy for Sustainable Development, vol. 15, no. 4, pp. 420-435, 2011. Asif, "Sustainable energy options for Pakistan", Renewable and Sustainable Energy Reviews, vol. 13, no. 4, pp. 903-909, 2009. Government of Pakistan, "Government of Pakistan (Policy for Development of Renewable Energy for Power Generation, Employing Small Hydro, Wind, and Solar Technologies)", 2006. Sheikh, "Energy and renewable energy scenario of Pakistan", Renewable and Sustainable Energy Reviews, vol. 14, no. 1, pp. 354-363, 2010. Bhutto, A. Bazmi and G. Zahedi, "Greener energy: Issues and challenges for Pakistan—Solar energy prospective", Renewable and Sustainable Energy Reviews, vol. 16, no. 5, pp. 2762-2780, 2012. Awan and Z. Khan, "Recent progress in renewable energy – Remedy of energy crisis in Pakistan", Renewable and Sustainable Energy Reviews, vol. 33, pp. 236-253, 2014. Farooqui, "Prospects of renewables penetration in the energy mix of Pakistan", Renewable and Sustainable Energy Reviews, vol. 29, pp. 693-700, 2014. "Small Hydro", org, 2017. [Online]. Available: http://www.aedb.org/index.php/ae-technologies/small-hydro. [Accessed: 22- Dec- 2017]. Government of Pakistan, "Alternative and Renewable energy policy 2011", 2011. Timilsina, L. Kurdgelashvili and P. Narbel, "Solar energy: Markets, economics and policies", Renewable and Sustainable Energy Reviews, vol. 16, no. 1, pp. 449-465, 2012. Khan and N. Latif, "Environmental friendly solar energy in Pakistan's scenario", Renewable and Sustainable Energy Reviews, vol. 14, no. 8, pp. 2179-2181, 2010. Ashraf Chaudhry, R. Raza and S. Hayat, "Renewable energy technologies in Pakistan: Prospects and challenges", Renewable and Sustainable Energy Reviews, vol. 13, no. 6-7, pp. 1657-1662, 2009. Katz, "The feasibility of renewable energy in Pakistan", TBL, 2017. [Online]. Available: http://www.tbl.com.pk/the-feasibility-of-renewable-energy-in-pakistan/. [Accessed: 08- Dec- 2017]. Solangi, M. Islam, R. Saidur, N. Rahim and H. Fayaz, "A review on global solar energy policy", Renewable and Sustainable Energy Reviews, vol. 15, no. 4, pp. 2149-2163, 2011. Mirza, M. Maroto-Valer and N. Ahmad, "Status and outlook of solar energy use in Pakistan", Renewable and Sustainable Energy Reviews, vol. 7, no. 6, pp. 501-514, 2003. Haq, "Renewable Energy to Tackle Pakistan's Electricity Crisis", 2008. [Online]. Available: http://www.riazhaq.com/2008/09/tackling-pakistans-electricity-crisis.html. [Accessed: 27- Dec- 2017]. Hassan, "Model village being run on solar energy near Muzaffargarh by Pakistan Poverty Alleviation Fund", 2012. [Online]. Available: http://www.siasat.pk/forum/showthread.php?112010-Model-village-being-run-on-solar-energy-near-Muzaffargarh-by-Pakistan-Poverty-Alleviation-Fund. [Accessed: 27- Dec- 2017]. PCQ, "Solar energy lights up 10 villages in Pakistan", 2017. [Online]. Available: http://www.pcq.com.pk/solar-energy-lights-up-10-villages-in-pakistan. [Accessed: 10- Nov- 2017]. Saeed, "Solar to power thousands of off-grid homes in north Pakistan", 2015. [Online]. Available: http://www.reuters.com/article/us-pakistan-energy-solar-idUSKBN0LM0OR20150218. [Accessed: 27- Nov- 2017]. Haq, "Buksh Energy provides electricity to villages via solar power", 2013. [Online]. Available: http://tribune.com.pk/story/588497/buksh-energy-provides-electricity-to-villages-via-solar-power/. [Accessed: 27- Nov- 2017]. Harijan, M. Uqaili and U. Mirza, "Assessment of Solar PV Power Generation Potential in Pakistan", Journal of Clean Energy Technologies, vol. 3, no. 1, pp. 54-56, 2015. Khalil and S. Zaidi, "Energy crisis and potential of solar energy in Pakistan", Renewable and Sustainable Energy Reviews, vol. 31, pp. 194-201, 2014. Khaliq, A. Ikram and M. Salman, "Quaid-e-Azam Solar Power park: Prospects and challenges", in Proceedings of IEEE Conference on Power Generation Systems and Renewable Energy Technology, 2015. "Current Status", org, 2018. [Online]. Available: http://www.aedb.org/index.php/ae-technologies/solar-power/solar-current-status. [Accessed: 13- Jan- 2018]. Fraunhofer, "Recent Facts about Photovoltaics in Germany", Fraunhofer Institute for Solar Energy Systems ISE, 2017. Thompson, "How Germany Became a Solar Superpower", 2015. [Online]. Available: https://www.triplepundit.com/2015/08/germany-became-solar-superpower/#. [Accessed: 27- Dec- 2017]. Devabhaktuni, M. Alam, S. Shekara Sreenadh Reddy Depuru, R. Green, D. Nims and C. Near, "Solar energy: Trends and enabling technologies", Renewable and Sustainable Energy Reviews, vol. 19, pp. 555-564, 2013. Bloomberg, "China Outstrips Germany in Solar Capacity After Record Additions", 2016. [Online]. Available: http://www.bloomberg.com/news/articles/2016-02-05/china-outstrips-germany-in-solar-capacity-after-record-additions. [Accessed: 27- Dec- 2017]. Dincer, "Renewable energy and sustainable development: a crucial review", Renewable and Sustainable Energy Reviews, vol. 4, no. 2, pp. 157-175, 2000. Tsoutsos, N. Frantzeskaki and V. Gekas, "Environmental impacts from the solar energy technologies", Energy Policy, vol. 33, no. 3, pp. 289-296, 2005.
ucsusa, "Environmental Impacts of Solar Power", 2017. [Online]. Available: http://www.ucsusa.org/clean_energy/our-energy-choices/renewable-energy/environmental-impacts-solar-power.html#.VymgO_l97IU. [Accessed: 27- Dec- 2017]. Painuly, "Barriers to renewable energy penetration; a framework for analysis", Renewable Energy, vol. 24, no. 1, pp. 73-89, 2001. Mirza, N. Ahmad, K. Harijan and T. Majeed, "Identifying and addressing barriers to renewable energy development in Pakistan", Renewable and Sustainable Energy Reviews, vol. 13, no. 4, pp. 927-931, 2009. Szweda, "Renewable energy applications in the Indian subcontinent", Photovoltaics Bulletin, vol. 2003, no. 4, pp. 7-9, 2003. Schenck, "Bangladesh Energy Efficiency and Renewable Energy Strategy and Action Plan", 2011. Abstract: GPS high accuracy applications are based on the phase measurements. Such phase measurements are frequently subjected to cycle slips. So, special attention should be paid to the detection and fixation of cycle slips. Previous works concerned with this issue dealt with single frequency data was faced with the low sensitivity of these models as most of them are based on differencing the change in both code and phase differences between consecutive epochs. Although the resulted test quantity is free of most GPS biases, it is contaminated by twice the ionospheric error due to its opposite sign in both code and phase equations. In this paper, a new test quantity is proposed. This test quantity, which was denoted as CPR, is defined as the ratio between the code and phase differences between consecutive epochs. CPR values exhibited very smooth manner between consecutive epochs. Different simulated cycle slips are introduced to different data sets. CPR graphs yielded detection sensitivity of one cycle for sampling rates up to 15 seconds and two cycles for higher sampling rates (up to 30 seconds). Concerning the fixation process, two scenarios are introduced in this paper which are backward and forward scenarios. In backward scenario, the 1st corrupted CPR value is estimated. This estimated CPR is used backwardly to get the number of the slipped cycles by estimating the phase difference between the epoch of cycle slip and its preceding epoch. The same scenario was followed forwardly by estimating the 2nd corrupted CPR and going by it in a forward model. Both scenarios yielded slightly different float solutiosn and the same fixed solutions. Finally, estimating the corrupted CPR values was tried using weighted mean of uncorrupted CPR values. Weighting of CPR is taken inversely proportional to the time gap between the estimated and the used values. Results proved that weighting of the most recent seven CPR values yielded the best float solution in both backward and forward scenarios. Keywords: Cycle slips, Single frequency data, Code/Phase Ratio (CPR), Detection sensitivity, Fixation reliability. A . El-Rabbany (2002). "Introduction to the Global Positioning System (GPS)". Artech House Mobile Communication Series, Boston, London. Guoping and M. Lingjuan. " Cycle-slip Detection of GPS Carrier Phase with Methodology of SA4 Multi-wavelet Transform ". Chinese Journal of Aeronautics 25 (2012), pp. 227-235. Zangeneh-Nejad, A. R. Amiri-Simkooei, M. A. Sharifi and J. Asgari. " Cycle slip detection and repair of undifferenced single-frequency GPS carrier phase observations ". GPS Solutions (2017) 21, pp:1593–1603. El-Tokhey, T. Fath-Allah, A. Ragheb and M. Moursy, "GPS cycle slips detection and repair through various signal combinations". International Journal of Modern Engineering Research (IJMER), Vol. 4, Iss.11, No. 2, Nov. 2014. Banville and R. Langley, "Cycle-Slip Correction for Single-Frequency PPP". 25th International Technical Meeting of the Satellite Division of the Institute Of Navigation (ION), Nashville TN, September 17-21, 2012. Hofmann-Wellenhof, H. Lichtenegger and J. Collins (2001). "Global positioning system - Theory and practice". 5th Revised Ed., Springer, Wien, New York. Moursy, "Different Techniques for Detecting and Repairing GPS Cycle Slips". M.Sc. Thesis, Public Works Department, Faculty of Engineering, Ain Shams University, Egypt, 2015. F. Fath-Allah . "A New Approach for Cycle Slips Repairing Using GPS Single Frequency Data". World Applied Science Journal (WASJ), Volume 8, No. 3, IDOSI Publications 2010, pp 315-325 . Fujita, S. Saito and T. Yoshihara "Cycle Slip Detection and Correction Methods with Time-Differenced Model". Special Issue on the 43rd ISCIE International Symposium on Stochastic Systems Theory and Its Applications III, Vol. 26, No. 1, pp. 8–15, 2013. Supej and I. Cuk. "Comparison of Global Navigation Satellite System Devices on Speed Tracking in Road (Tran) SPORT Applications". Sensors 2014, 14, 23490-23508; doi:10.3390/s141223490. Abstract: Weather monitoring is a global phenomenon and its impact world-wide cannot be over emphasized. The monitored parameters are always factored into result-based performance and efficiency. This efficiency can also be determined by the solar irradiance. Solar energy installations are some of the alternative energy generation strategy adopted globally, hence it is important to determine the location, size and position of the panel to ensure maximum solar irradiance. This work is aimed to study the effect of sun tracking solar installation on charging voltage using microcontroller. AT89S52 microcontroller was adopted to implement a model prototype for sun tracking solar installation during cloudy morning and sunny weather conditions. Readings from the prototype were used to characterize the cloudy and non-cloudy weather conditions. From the characteristic curves plotted, it was established that the optimum performance could be obtained during the cloudy morning and sunny afternoon. This further elucidates the impact of sun tracking in solar installations which could be beneficial to solar installation managers and scientists. Keywords: Charging voltage, cloudy, Microcontroller, Prototype model, solar installation, sunny, Sun Tracking. Obasi C. C et al, "Design and Implementation of Microcontroller Based Programmable Power Changeover." International Journal of Computer and Intelligent Systems vol. 6 no 12, pp 51-56, 2015. Rahman S., “Green power: what is it and where can we find it?”, IEEE Power and Energy Magazine, vol. 1, no. 1, pp. 30-37, 2003. Osueke, C., et al, "Study and evaluation of solar energy variation in Nigeria." International Journal of Emerging Technology and Advanced Engineering vol. 3 no 6, pp 501-505, 2013. Oloka R. O., “Solar Tracker for Solar Panel”, University of Nairobi, Faculty of Engineering 2015. Kumar M.N., Saini H.S., Anjaneyulu K.S.R., Singh K., “Solar Power Analysis Based on Light Intensity”, The International Journal Of Engineering And Science, pp. 01 – 05, 2014. Usta M. A., Akyazı Ö. & Altaş İ. H., “Design and Performance of Solar Tracking System with Fuzzy Logic Controller”, International Advanced Technologies Symposium, 2011. Huang Y. J. et al, The Design and Implementation of a Solar Tracking Generating Power System, Engineering Letters, 17:4, EL_17_4_06, 2009. Rohit Agarwal, Concept of Mechanical Solar Tracking System, Journal of Mechanical and Civil Engineering, 2014. Abstract: Movement control and vehicle proprietor recognizable proof has turned out to be real issue in each nation. Now and then it winds up noticeably very hard to recognize vehicle’s proprietor who disregards movement standards and drives too quick. In this manner, it isn't conceivable to get and rebuff those sorts of individuals in light of the fact that the activity individual won't not have the capacity to recover number from the vehicle compared with speed of distinctive vehicle. Hence, we create Automatic Number Plate Recognition (ANPR) framework is one of the answers for the problem. Robotized Number Plate Recognition framework would significantly upgrade the capacity of police to identify criminal action that includes the utilization of engine vehicles. Keywords: Automatic number plate recognition, Template matching. Weihua Wang, "Reach on Sobel Operator for Vehicle Recognition, "International Joint Conference on Artificial Intelligence, pp.448-451, 2009. Yang Yang, Xuhui Gao, and Guowei Yang, "Study the Method of Vehicle License Locating Based on Color Segmentation," Procedia Engineering , vol. 15, pp. 1324-1329, 2011. D.H. Ballard, "Generalizing the Hough Transform to Detect Arbitary Shapes," Pattern Recognition, vol. 13, no. 2, pp. 111-122, 1981. Prathamesh Kulkarni, Ashish Khatri, Prateek Banga, and Kushal Shah, "Automatic Number Plate Recognition (ANPR)," in RADIOELEKTRONIKA. 19th International Conference, 2009. Zhen-Xue Chen, Cheng-Yun Liu, Fa-Liang Chang, and Guo-You Wang, "Automatic License-Plate Location and Recognition Based on Feature Saliance," IEEE Transactions on Vehicular Technology, vol. 58, no. 7, pp. 3781-3785, 2009. Ch.Jaya Lakshmi, Dr.A.Jhansi Rani, Dr.K.Sri Ramakrishna, and M. KantiKiran, "A Novel Approach for Indian License Recognition System," International Journal of Advanced Engineering Sciences and Technologies, vol. 6, no. 1, pp. 10-14, 2011. R. C. Gonzalez, R.E. Woods, Digital Image Processing, Second Edition, Prentice Hall, 2002. Abstract: In pervasive computing environments, clients can get benefits anytime and anywhere, but the inescapability and versatility of the circumstances bring present day security challenges. The client did know about the service provider and vice versa. They have to authenticate each other before starting the service. The cloud has to identify or authenticate the client or user by his/her identity i.e, fingerprint. Here the two important things that we can consider were about privacy and security. In this case, the client should not expose any private information to the cloud such as his physical location, ID and so on when being authenticated. In this paper, we provided a authentication scheme based on biometric encryption to enclose the data transferring between a client and cloud. In this proposal, client’s authentication was hidden. Steffen, S., Bharat, B., Leszek, L., Arnon, R., Marianne, W., Morris, S., et al., (2004) “The pudding of trust”. IEEE Intelligent Systems, 19(5), 74-88. Saadi, L., Marc, L., & Carsten, R., (2005) “Privacy and trust issues with invisible computers”. Commun. ACM, 48(3), 59-60. Zugenmaier, A., Kreutzer, M., & Muller, G., (2003) “The Freiburg privacy diamond: An attacker model for a mobile computing environment”. Divyajyothi M G, Rachappa and Dr. D H Rao,” Techniques of Lattice Based Cryptography Studied On A Pervasive Computing Environment,” International Journal on Computational Science & Applications (IJCSA), Vol.5, No.4, August 2015. Divyajyothi M G, Rachappa and Dr. D H Rao, “A Scenario Based Approach for Dealing with Challenges in A Pervasive Computing Environment,” International Journal on Computational Sciences & Applications (IJCSA), Vol.4, No.2, April 2014. Zugenmaier, A., & Hohl, A., (2003) “Anonymity for users of ubiquitous computing”, in the 2nd Workshop on Security in Pervasive Computing. Roy Campbell1, Jalal Al-Muhtadi1, Prasad Naldurg1, “Towards Security and Privacy for Pervasive Computing”, Department of Computer Science, University of Illinois at Urbana Champaign. Alfred, K., & Jörg, S., (2003) “Privacy through pseudonymity in user-adaptive systems”. ACM Trans. Interet Technol., 3(2), 149-183. Jason, I. H., & James, A. L., (2004) “An architecture for privacy-sensitive ubiquitous computing”, in the 2nd international conference on Mobile systems, applications, and services, (Boston, MA, USA). Chatfield, C., & Hexel, R., (2005) “User identity and pervasive computing: User selected seudonyms”, in the Workshop on UbiComp Privacy: Privacy in Context,, (Tokyo, Japan). Langheinrich, M., (2002a) “A privacy awareness system for ubiquitous computing environments”, in the Proceedings of the 4th international conference on Ubiquitous Computing, (Sweden). T. Abdelzaher, Y. Anokwa, P. Boda et al., “Mobiscopes for human spaces,” IEEE Pervasive Computing, vol. 6, no. 2, pp. 20–29, 2007. D. Chander, B. Jagyasi, U. B. Desai, and S. N. Merchant, “Spatio-temporally adaptive waiting time for cell phone sensor networks,” International Journal of Distributed Sensor Networks, vol. 2011, Article ID 962476, 21 pages, 2011. Yao Lin, Kong Xiangwei, Wu Guowei, Fan Qingna, Lin Chi, “A Privacy Preserving Authentication Scheme Using Biometrics for Pervasive Computing Environments”, Journal of Electronics(China), 2010. Abstract: Energy crises nowadays is a big issue in the entire world and countries like Pakistan are affected more and severe short fall occurs in energy sector which affects economic growth and industrial development. In Pakistan fossil fuels like (furnace oil, natural gas, coal), hydel are the main sources of energy generation along with very limited renewable energy resources. Government have been planning various strategies to resolve the issue of energy crises and most of them are long term planning. In this research, a cost effective method of smart metering has been applied to narrow down the gap between supply and demand where electricity units can be calculated in peak and off peak hours separately and switch off unnecessary loads in peak hours, so by managing the different loads in peak and off peak hours we can overcome the energy crises and also a great impact will be seen in utility bills. Keywords: Smart meter, energy management system, Demand side management, Load Control, energy management controller, Smart pricing, consumer participation. National electric regulatory authority, “State of Industry Report 2015”. H. M. Zahid Iqbal, M. Waseem and Tahir Mahmood, “Automatic Energy Meter Reading using Smart Energy Meter”, Conference Paper March 2014. Eric Williams and Scott Matthews, Michael Breton and Todd Brady “use of a computer based system to measure and manage energy consumption in the home” 1-4244-0351-0/06/$20.00, 2006 IEEE, Pages 167-172. K. Uma Rao, Satyaram Harihara Bhat, Jayaprakash G, Ganeshprasad G G and SelvamaniN Pillappa, “Time Priority Based Optimal Load Shedding Using Genetic Algorithm”,IET pages 301-308. Craig Wester, Terrence Smith, Jacobus Theron and David Mcginn, “Developments InFast Load Shedding”, 978-1-4799-2066-2/14/$31.00 ©2014 IEEE. Abstract: Steel slag is a byproduct from either the conversion of iron to steel in a basic oxygen furnace, or the melting of scrap to make steel in an electric arc furnace. This paper presents the influences of the utilization of steel slag as a coarse aggregate replacing the traditional limestone aggregate on the properties of a binder and surface course hot mix asphalt (HMA). Six percentages (0%, 20%, 40%, 60%, 80%, and 100%) of limestone aggregate were replaced by steel slag aggregate (SSA) for both binder and surface course. The effectiveness of SSA in HMA was measured by preparing Marshall Specimens and measure their stability, flow, stiffness, indirect tensile stress, and loss of stability. It was observed that replacing up to 60% of limestone coarse aggregate by SSA improved the mechanical properties of the mixtures and it was the optimal percentage. Keywords: steel slag aggregate, asphalt mixtures, Marshall, indirect tensile strength. M. Proctor, K.A. Fehling, E.C. Shay, Physical and chemical characteristics of blast furnace, basic oxygen furnace, and electric arc furnace steel industry slags,Environ.Sci,Tehcnol.34(2000) 1576-1582. Motz, J. Geiseler, Products of steel slags an opportunity to save natural resources, Waste Manage. 21(2001) 285-293. Emery, Steel slag utilization in asphalt mixes, in: National Slag Association, MF 186-1, 1984. Xue, S. Wu, H. Hou, J. Zha, Experimental investigation of basic oxygen furnace slag used as aggregate in asphalt mixture, Journal of Hazardous Materials B138(2006) 261-268. Wu, Y. Xue, Q. ye, Y. Chen, Utilization of steel slag aggregates for stone mastic asphalt (SMA) mixtures, Building and Environmental 42 (2007) 2580-2585. Etxeberria, C. Pacheco, J.M. Meneses, I. Berridi, Properties of concrete using metallurgical industrial by-products as aggregates, Construction and Building Materials 24 (2010) 1594-1600. M. Asi, H.y. Qasrawi, F.I. Shalabi, Use of steel slag aggregate in asphalt concrete mixes, Canadian Journal of Civil Engineering 34(2007) 902-911. S. Kandhal, F. Parker, R.B. Mallick, Aggregate tests for hot mix asphalt: state of the practice, NCAT Report 97-06, 1997. M. Asi, Evaluating skid resistance of different asphalt concrete mixes, Build.Environ. 42 (2007) 325–329. ASTM D 1559, Resistance to plastic flow of bituminous mixtures using the Marshall apparatus, 1989. E. Zoorob, L.B. Suparma, Laboratory design and investigation of the properties of continuously graded Asphaltic concrete containing recycled plastics aggregate replacement (Plastiphalt), Cement Concrete Comp. 22 (2000) 233–242. Abstract: Nowadays plastics are used everyday in every aspect of our lives which is a great problem as they are non-biodegradable. They are disposed either by landfilling or incineration of the waste materials which causes environmental pollution and health problems. This paper studies the influence of reusing waste plastic (WP) in hot mix asphalt (HMA). Three different methods were used to add waste plastics to HMA with five different percentages of waste plastic at each method. To determine the best method of adding WP to HMA and the optimum WP content Marshall specimens were prepared and tested to measure their stability, flow, stiffness, indirect tensile strength, and loss of stability. It was concluded that the third method was the best method for adding WP, the optimum WP content differs for each type of WP, using WP improved the mechanical properties of the HMA, and its durability. Keywords: Hot mix asphalt, Indirect tensile strength, Loss of stability, Marshall, Waste plastics. Ajim S. Sutar, Sanket D. Awasare, Anuja A. Kukalekar, "EXPERIMENTAL INVESTIGATION ON USE OF LOW DENSITY POLYETHYLENE (LDPE) IN BITUMINOUS ROAD CONSTRUCTION," JOURNAL OF INFORMATION, KNOWLEDGE AND RESEARCH IN, vol. 3, no. 2, pp. 183-190, 2015. A. S.Bale, "POTENTIAL REUSE OF PLASTIC WASTE IN ROAD," International Journal of Advanced Engineering Technology, vol. 2, no. 3, pp. 233-236, 2011. Vatsal Patel, Snehal Popli, Drashti Bhatt, "Utilization of Plastic Waste in Construction of Roads," IJSR - INTERNATIONAL JOURNAL OF SCIENTIFIC RESEARCH, vol. 3, no. 4, pp. 161-163, 2014. Hamed M. Jassim, Omar T. Mahmood, Sheelan A. Ahmed, "Optimum Use of Plastic Waste to Enhance the Marshall Properties and Moisture Resistance of Hot Mix Asphalt," International Journal of Engineering Trends and Technology (IJETT), vol. 7, no. 1, pp. 18-25, 2014. Yash Menaria, Rupal Sankhla, "Use of Waste Plastic in Flexible," Open Journal of Civil Engineering, vol. 5, no. 3, pp. 299-311, 2015. A. H. Mir, "Use of Plastic Waste in Pavement Construction: An Example of Creative Waste management," IOSR Journal of Engineering (IOSRJEN), vol. 5, no. 2, pp. 57-67, 2015. Mohamed Sulyman, Maciej Sienkiewicz, Jozef Haponiuk, "Asphalt Pavement Material Improvement," International Journal of Environmental Science and Development, vol. 5, no. 5, pp. 444-454, 2014. S.Rajasekaran, R. Vasudevan, Samuvel Paulraj, "Reuse of Waste Plastics Coated Aggregates-Bitumen Mix Composite For Road Application – Green Method," American Journal of Engineering Research (AJER), vol. 2, no. 11, pp. 1-13, 2013. Pankaj P.Shedame, Nikhil H.Pitale, "Experimental Study of Bituminous Concrete Containg Plastic Waste Material," IOSR Journal of Mechanical and Civil Engineering, vol. 2, no. 3, pp. 37-45, 2014. S.Sivarasan, V.Prabhu, "Utilization of Waste Plastics & Carbon Rubber in Bitumen," International Journal of Emerging Technologies in Engineering Research (IJETER), vol. 4, no. 5, pp. 62-65, 2016. Yadav Santosh, Saxena Anil Kumar, Arora T.R., "Performance Evaluation of Waste Plastic and Bitumen Concrete mix in Flexible Pavements," International Journal of Scientific & Engineering Research, vol. 4, no. 10, pp. 398-406, 2013. S. Rokade, "Use of Waste Plastic and Waste Rubber Tyres in Flexible Highway," in International Conference on Future Environment and Energy, Singapoore, 2012. AMIT GAWANDE, G. S. ZAMRE, V. C. RENGE, G. R. BHARSAKALE, SAURABH TAYDE, "UTILIZATION OF WASTE PLASTIC IN ASPHALTING OF ROADS," Scientific reviews & chemical communications, vol. 2, no. 2, pp. 147-157, 2012. Abstract: the worn and inefficient tissues make up a significant part of Sabzevar city. On the one hand, These tissues suffer from a wide range of physical, functional and environmental problems and on the other hand, those are city`s most important potential for utilizing land for providing services space, create mobility infrastructure and environmental improvements. Golestan area is one of the oldest neighborhoods in the city, which form the initial core of the city and has an organic form. This neighborhood faces physical problems such as passage ways with low width, poor road networks, the existence of old habitats, low durability and compressed structure, poor quality of building materials and lack of facilities and equipment required. In this paper, Preliminary knowledge of the old city texture and physical aspects of Golestan area will be reviewed. Keywords: Worn Texture, Land Use, Central Business District, Sabzevar City. Abstract: This paper surveys a review of reconfigurable finite state machine. It’s a powerful methodology for achieving high performance. Minimizing the resource required in the implementation of many applications points out the difference between run time reconfigurable finite state machine and programmable finite state machine. The application of the concept of self-reconfigurable finite state machine to achieve VLSI architecture of dynamically reconfiguration is also discussed. Keywords: Finite State Machine, VLSI, FPGA, Reconfiguration. Yukio MITSUYAMA, Zaldy andales, tAKAO onoye, and Isao SHIRAKAWA”VLSI 1mplementation of dynamically reconfigurable hardware –based cryptosystem”2000 symposium on VLSI circuit digest of technical papers. H.ITO R.Konishi, H.Nakada K.Oguri A.Nagoya “Dynamically reconfigurable Logic LSI- PCA-1”2001 symposium on VLSI Circuits Digest of technical papers. Sayfe Kiaei, Jaisimha K.Durgam “VLSI design of dynamically reconfigurable ARRAY”1989 IEEE. Lizy Kurian John, Eugence John” a dynamically reconfigurable Interconnects for array processors.”IEEE Transaction on VLSI system 1998. T.Fujii et al “ a dynamically reconfigurable logic engine with a multicontex/multi –mode unified cell architecture,” in ISSCC Digest of technical papers, pp364-365, Feb 1999. Markus Koster, Jurgen Teich” selfreconfiguration finite state machine theory and implementation “ proc of the 2002 design, automation and test, Europe conference and exhibition IEEE. Abstract: this paper examined the inspect relationship between Saudi Payments Network and bank efficiency in Saudi Arabia. The regression analysis method was used to test the hypotheses of study, Alpha Coronachs was calculated for the instrument of study (0. 953). It is therefore acceptable for the purposes of statistical analysis, and the five-dimensional Likert scale has been adopted to measure the availability of the variables of the study model. Demographics of the respondents have proven that 100% male, 35% executive, 65 % non-executive and the Age of respondents 33.1% (18-25 years old), 35.4% (26-35 years old), 30.4% (36-45 years old) and 1.1% (46-55 years old). The results of the regression analysis show that the use of Saudi Payments Network (SPAN) has had a direct impact B=0.682, P≤ 0.05 in banks' effectiveness in Saudi Arabia, it turns out that the coefficient of determination (ADJUSTED R2 = 0.280) This means that Saudi Payments Network (SPAN may be interpreted (28%) of the variation in the level of banks' effectiveness, and notes that the statistical test value (F = 19.215) which is statistically significant at the level of (P≤ 0.05). Banks should pay attention to the development and modernization of the technological infrastructure of the bank this leads to increase bank productivity; also Attention should be given to current and future needs of the market and consumers in order to maximize the Bank's market share. (http://www.sama.gov.sa/). Saudi Payment Network SPAN. (2016). [The Saudi Arabian Monetary Agency (SAMA)] Retrieved fromsama.gov.sa/en-US/PaymentSystem/Pages/SPAN.aspx, 2017. Chai, B. B. H., Tan, P. S., & Goh, T. S. (2016). Banking services that influence the bank performance. Procedia-Social and Behavioral Sciences, 224, 401-407. Mohd Khan, S. J., Mohd Khan, S. J., Samsudin, S., Samsudin, S., Islam, R., & Islam, R. (2017). Efficiency of banks in Southeast Asia: Indonesia, Malaysia, Philippines and Thailand. International Journal of Social Economics, 44(12), 2302-2312. Bahri, M., Bahri, M., St-Pierre, J., St-Pierre, J., Sakka, O., & Sakka, O. (2017). Performance measurement and management for manufacturing SMEs: a financial statement-based system. Measuring Business Excellence, 21(1), 17-36. Suhartanto, D. (2017). The role of store coopetition and attractiveness on the performance of tourism destination and its retail stores. International Journal of Tourism Policy, 7(2), 151-165. Oppong, P. (2016). The effect of information and communications technology on financial performance of Commercial Banks in Ghana(Doctoral dissertation). Solomon, W., & Worku, S. (2016). Role of Electronic Bank Performance of Comm Ethiopia. Mensah, G. A. (2017). The effect of information and communications technology on financial performance of rural banks in Ghana(Doctoral dissertation). Shamim, Farkhanda, et al. "Clicks business of deposit-taking institutions: an efficiency analysis." Journal of Economic Studies6 (2017): 911-930. Lentoimaga, F., Mulongo, L. S., & Omboto, P. I. INTEGRATION OF TECHNOLOGICAL SYSTEMS AND EMPLOYEE PERFORMANCE IN THE BANKING SECTOR IN KENYA: A SURVEY OF SELECTED COMMERCIAL BANKS IN NORTH RIFT, KENYA. Akinwumi, I. A. (2017). Determinants of Financial Technological Innovation Adoption by Customers of Deposit Money Banks in Nigeria(Doctoral dissertation, COHRED, JKUAT). Malhotra, P., & Singh, B. (2006). The impact of Internet banking on bank's performance: The Indian experience. South Asian Journal of Management, 13(4), 25. Onwona-Agyeman, A. L. (2016). Assessing the impact of Information Technology (IT) investment on business profitability (Case study of selected commercial banks in Ghana)(Doctoral dissertation). Azar, G., & Ciabuschi, F. (2017). Organizational innovation, technological innovation, and export performance: The effects of innovation radicalness and extensiveness. International Business Review, 26(2), 324-336. Taiwo, J. N., & Agwu, M. E. (2017). The Role of E-Banking on Organization Performance in Nigeria-Case Study of Commercial Banks. International Research Journal of Applied Finance, 8(2), 102-111. Abd Karim, M. Z., Anuar, A. R., Khan, M., & Jan, S. (2003). Information technology and cost efficiency in Malaysian banking industry. Malaysian Management Journal, 7(2), 47-58. Ahmadirezaei, H. (2011). The effect of information technology in Saderat banking system. Procedia-Social and Behavioral Sciences, 30, 23-26. Hung, R. Y. Y., Lien, B. Y. H., Yang, B., Wu, C. M., & Kuo, Y. M. (2011). Impact of TQM and organizational learning on innovation performance in the high-tech industry. International business review, 20(2), 213-225. Abstract: Bio-nanotechnology offers biosynthetic, environment friendly pathways for the preparation of nanomaterials. In this work, nickel nanoparticles (NiNPs) are synthesized by using betel leaves as reducing agent. Reduction to NiNPs was confirmed by UV-VIS analysis. The effect of independent variables, i.e. temperature and strength of reducing agent on absorbance of the reaction mixture and process optimization was done using RSM as per central composite design (CCD). The chemical group present on the deposited nanoparticles was identified using FT-IR. Particle size estimation was done on TEM and nanoparticle size analyser. The crystallinity of the nanospheres formed was established using XRD. Nano metal formation was confirmed using EDX. Keywords: Betel Leave, Central Composite Design, Nickel, Nanoparticles. Makarov, A. J. Love, O. V. Sinitsyna, S. S. Makarova, I. V. Yaminsky, M. E. Taliansky, and N. O. Kalinina (2014), Acta Naturae, 6(1), 35–44. Dominguez-Crespo, M.; Ramirez-Meneses, E.; Montiel-Palma, V.; Torres Huertaa, A.; Dorantes Rosalesc, H. (2009), J. Hydr. Enen, 34, 1664. Wang, Y.; Gunasekaran, S. (2011), Nanopart. Res, 14, 1200. Cordente, N.; Respaud, M.; Senocq, F.; Casanove, M.; Amiens, C; Chaudret, B. (2001), Nano Letts., 1, 565. Rai M, Yadav A and Gade A. (2009), Biotechnology Advances, 76-83. Gaware, U., Kamble, V. and Balaprasad, A. (2012), International Journal of Electrochemistry, 6-12. Gopinath, K., Gowri, S., and Arumugam, A. (2013), Journal of Nanostructures in Chemistry, 1-7. Kharissova OV, Dias H, Kharisov BI, Pérez BO, Pérez VMJ (2013), Trends Biotechnol, 31(4), 240–8. Huang J, Wang W, Lin L, Li Q, Lin W, Li M, Mann S. (2009), Chem Asian J, 4:1050–1054. Huang J, Zhan G, Zheng B, Sun D, Lu F, Lin Y, Chen H, Zheng Z, Zheng Y, Li Q. (2011), Ind Eng Chem Res, 50, 9095–9106. Gardea-Torresdey J. L., Gomez E., Peralta-Videa J. R,, Parsons J.G., Troiani H., and Jose-Yacaman M. (2003), Langmuir, 19, 1357–1361. Gardea-Torresdey J, Parsons J, Gomez E, Peralta-Videa J, Troiani H, Santiago Petal (2002), Nano Lett, 2,397-401. Shankar SS, Rai A, Ankamwar B, Singh A, Ahmad A, Sastry M. (2004), Nat Mater, 3, 482–488. Xie J, Lee J, Wang D, Ting Y. (2007), Small, 3, 672–682. Xie J, Lee J, Wang D, Ting Y. (2007), ACS Nano, 1, 429–39. Mirkin, C.; Letsinger, R.; Mucic, R.; Storhoff, J. (1996), Nature, 382, 607. Storhoff, J.; Elghanian, R.; Mucic, R.; Mirkin, C.; Letsinger, R. (1998), Am. Chem. Soc., 120, 1959. Chen D, Wu S. (2000), Chem Mater, 12, 1354–1360. Maria C. (2007), Phys Chem Chem Phys, 9, 4814–4821. Paillet M, Jourdain V, PoncharalP ,Sauvajol J-L ,Zahab A, Meyer JC, (2004), J Phys Chem B, 108,17112–17118. Wu S, Chen D. (2003), J Colloid Interface Sci, 259, 282–286. Rao V M, Castano C H, Rojas J, Abdulghani A (2013), J. Radiat Phys Chem, 89, 51–56. Sulekh Chandra, Avdhesh Kumar, Praveen Kumar Tomar (2014), Journal of Saudi Chemical Society, 18, 437–442. Hamed Barabadi, Soheila Honary, Pouneh Ebrahimi, Milad Ali Mohammadi, Ahad Alizadeh, Farzaneh Naghibi (2014), Brazilian Journal of Microbiology, 45(4), 1493-1501. Krishnaraj C., Jagan E. G., Rajasekar S., Selvakumar P., Kalaichelvan P. T., Mohan N. (2010), Colloids Surf., B, 76(1), 50 − 56. Shukla VK, Pandey S, Pandey AC; In: Proceedings of International Conference on Advanced Nanomaterials and Nanotechnology, ICANN (2009), Guwahati, Assam. Ayesha Mariam, M. Kashif, S. Arokiyaraj, M. Bououdina, M. G. V. Sankaracharyulu, M. Jayachandran, U. Hashim (2014), Digest Journal of Nanomaterials and Biostructures, 9(3), 1007-1019. Song, X. Jia, X. Yang, H. Tang, Y. Li and Y. Su (2012), Cryst Eng Comm, 14, 405. T. Prabhu , K. Venkateswara Rao , V. Sesha Sai , Tambur Pavani (2017), Journal of Saudi Chemical Society, 21 (2), 180-185. K Joseph Antony Raj & B. Viswanathan (2011), Indian Journal of Chemistry, 50A, 176-179. Huimei Chen , JingWang , DengpoHuang, XiaoerChen, JiajiaZhu, DaohuaSun , Jiale Huang, Qingbiao Li. (2014), Materials Letters, 122, 166–169. Abstract: High frequency ac applications with a reduced component of a cascaded multilevel inverter using switched capacitor are proposed in this project. Here switched capacitor and H-Bridges are constructed in front end and back end through the connections of series and parallel conversions. An increasing the voltage level by switched capacitor, output harmonics can be reduced. High Frequency AC Applications (HFAC) is alternative to DC distribution due to lower cost. These are most commonly used to apply for small scale and closed electrical network in electric vehicles due to moderate size and reduction of weight for distribution network. The type of multilevel inverter used in this project is cascaded H-Bridge and they built by the series connection of H-Bridges. It is similar to dc-dc converters. The cascaded H-Bridges needs individual input and four power switches for construction in order to increase number of voltage levels with their staircase output. However control strategy is difficult because of input current will be in discontinuous; therefore Electromagnetic Interference (EMI) becomes worst. The advantages for this topology at rated output frequency of about 20 kHz are feasible to operate, increasing reliability and high efficiency. By increasing number of voltage levels, the total harmonic distortion (THD) content of staircase output can be decreased and further in such a way that, has a particular meaning to simplifying the filter design. This topology will be analyzed by symmetrical modulation for 13–level inverter, which is based on switched capacitor of a cascaded multilevel inverter for HFAC PDS. The entire system is simulated in MATLAB/SIMULINK TOOL. Keywords: Cascaded H-Bridge, High–Frequency Ac (HFAC), Multilevel inverter, Switched Capacitor (SC), Symmetrical Phase-Shift Modulation (PSM). Junfeng Liu, K. W. E. Cheng, Senior Member, IEEE, and Yuanmao Ye “A Cascaded Multilevel Inverter Based on Switched-Capacitor for High-Frequency AC Applications,” IEEE TRANSACTIONS ON POWER ELECTRONICS, vol. 29, no. 8, AUGUST 2014. Jainand H.Pinheiro, “Hybrid high frequency AC power distribution architecture for telecommunication systems,” IEEE Trans. Aerospace Electron. Syst., vol. 35, no. 1, pp. 138–147, Jan. 1999. Drobnik, “High frequency alternating current power distribution,” in Proc. 16th Int.Telecommun. Energy Conf., (INTELEC ‘94), Oct. 30–Nov. 3, pp. 292–296. Bose, M.-H. Kin, and M. D. Kankam, “High frequency AC vs. DC distribution system for next generation hybrid electric vehicle,” in Proc. IEEE Int. Conf. Ind. Electron., Control, Instrum. (IECON), Aug. 5–10, 1996, vol. 2, pp. 706–712. Chakraborty and M. G. Simoes, “Experimental evaluation of active ﬁltering in a single-phase high-frequency AC micro grid,” IEEE Trans. Energy Convers., vol. 24, no. 3, pp. 673–682, Sep. 2009. Strzelecki and G. Benysek, Power Electronics in Smart Electrical Energy Networks. London, U.K.: Springer-Verlag, 2008. Ye,P. K.Jain, and P. C.Sen, “A two-stage resonant inverter with control of the phase angle and magnitude of the output voltage,” IEEE Trans. Ind. Electron., vol. 54, no. 5, pp. 2797–2812, Oct. 2007. M. Tolbert, F. Z. Peng, and T. G. Habetler, “Multilevel PWM methods at low modulation indices,” IEEE Trans. Power Electron., vol. 15, no. 4, pp. 719–725, Jul. 2000. Antaloae, J. Marco, and N. D. Vaughan, “Feasibility of high- frequency alternating current power for motor auxiliary loads in vehicles,” IEEE Trans. Veh. Technol., vol. 60, no. 2, pp. 390–405, Feb. 2011. W. E. Cheng, “Computation of the AC resistance of multistranded conductor inductors with multilayer’s for high frequency switching converters,” IEEE Trans. Magn., vol. 36, no. 4, pp. 831–834, Jul. 2000. P.Rodriguez,M. M. D.Bellar,R. R. S.Mu˜noz-Aguilar,S. S.Busquets- Monge, and F. F. Blaabjerg, “Multilevel clamped multilevel converters (MLC),” IEEE Trans. Power Electron., vol. 27, no. 3, pp. 1055–1060, Mar. 2012. Ilves, A. Antonopoulos, S. Norrga, and H.-.P. Nee, “A new modulation method for the modular multilevel converter allowing fundamental switching frequency,” IEEE Trans. Power Electron., vol. 27, no. 8, pp. 3482–3494, Aug. 2012. Akagi, “Classiﬁcation, terminology, and application of the modular multilevel cascade converter (MMCC),” IEEE Trans. Power Electron., vol. 26, no. 11, pp. 3119–3130, Nov. 2011. F.Kangarluand E.Babaei,”A, generalized cascaded multilevel inverter using series connection of sub multilevel inverters,” IEEE Trans. Power Electron., vol. 28, no. 2, pp. 625–636, Feb. 2013. -C.MakandA.Ioinovici, “Switched-capacitor inverter with high power density and enhanced regulation capability,” IEEE Trans. Circuits Syst. I: Fundam. Theory Appl., vol. 45, no. 4, pp. 336–347, Apr. 1998. -J. Park, F.-S. Kang, M. H. Lee, and C.-U. Kim, “A new single-phase ﬁve-level PWM inverter employing a deadbeat control scheme,” IEEE Trans. Power Electron., vol. 18, no. 3, pp. 831–843, May 2003. Axelrod, Y. Berkovich, and A. Ioinovici, “A cascade boost-switched- capacitor-converter—Two level inverter with an optimized multilevel output waveform,” IEEE Trans. Circuits Syst. I: Reg. Papers, vol. 52, no. 12, pp. 2763–2770, Dec. 2005. Hinago and H. Koizumi, “A single-phase multilevel inverter using switched series/parallel DC voltage sources,” IEEE Trans. Ind. Electron., vol. 57, no. 8, pp. 2643–2650, Aug. 2010. Hinago and H. Koizumi, “A switched-capacitor inverter using series/parallel conversion with inductive load,” IEEE Trans. Ind. Electron., vol. 59, no. 2, pp. 878–887, Feb. 2012. S. W. Chan and K. T. Chau, “A new switched-capacitor boost- multilevel inverter using partial charging,” IEEE Trans. Circuits Syst. II: Exp. Briefs, vol. 54, no. 12, pp. 1145–1149, Dec. 2007. K. Law and K. W. E. Cheng, “Examination of the frequency modulation and lifting techniques for the generalized power factor correction switched-capacitor resonant converter,” Int. J. Circuit Theory Appl., vol. 36, no. 7, pp. 839–855, Oct. 2008. Gupta and A. M. Khambadkone, “A space vector modulation scheme to reduce common mode voltage for cascaded multilevel inverters,” IEEE Trans. Power Electron., vol. 22, no. 5, pp. 1672–1681, Sep. 2007. Kouro, P. Lezana, M. Angulo, and J. Rodriguez, “Multicarrier PWM with DC-link ripple feed forward compensation for multilevel inverters,” IEEE Trans. Power Electron., vol. 23, no. 1, pp. 52–59, Jan. 2008. Kavousi, B. Vahidi, R. Salehi, M. Bakhshizadeh, N. Farokhnia, and S. S. Fathi, “Application of the Bee algorithm for selective harmonic elimination strategy in multilevel inverters,” IEEE Trans.PowerElectron., vol. 27, no. 4, pp. 1689–1696, Apr. 2012. Ding,K. W. E.Cheng,andY. P.Zou, “Analysis of an asymmetric modulation method for cascaded multilevel inverters,” IET Power Electron., vol. 5, no. 1, pp. 74–85, Jan. 2012. Zhongming, P. K. Jain, and P. C. Sen, “A full-bridge resonant inverter with modiﬁed phase-shift modulation for high-frequency AC power distribution systems,”IEEE Trans.Ind.Electron., vol.54, no.5, pp.2831–2845, Oct. 2007. Ioinovici, “Switched-capacitor power electronics circuits,” IEEE Circuits Syst. Mag., vol. 1, no. 1, pp. 37–42, Jan. 2001..
K. Law, K. W. E. Cheng, and Y. P. B. Yeung, “Design and analysis of switched-capacitor based step-up resonant converters,” IEEE Trans. Circuit Syst. I, Reg. Papers, vol. 52, no. 4, pp. 943–948, Apr. 2005. Yuanmao and K. W. E. Cheng, “A family of single-stage switched- capacitor–inductor PWM converters,” IEEE Trans. Power Electron., vol. 28, no. 11, pp. 5196–5205,Nov.2013. Abstract: The construction industry in Kenya has grown in leaps and bounds over the years. Bon and Crosthwaite (2000) state that the industry makes a significant contribution to the economy of any country since it not only creates employment for many people but also supports other sectors of the economy. It is because of this significance that special consideration should be paid to the execution of construction projects since they are the backbone of the industry. Better execution of projects will lead to improved growth of the industry. In order for projects to be delivered effectively, resources ought to be managed in an optimum manner. According to Simon, Gwaya and Diang’a (2017) the two most critical aspects of resource management could be said to be resource planning and leveling. While it was established by the same authors that resource planning and leveling are highly practiced in the Kenyan construction industry though in an unstructured manner, the authors failed to outline the factors which influence such practices. It is because of such gap that the researcher sought to undertake this study. The purpose of this study was to establish the factors influencing the adoption of resource planning in the Kenyan construction industry. A survey research design was adopted and a response rate of 76% was attained. There seemed to be consensus among the respondents regarding the following factors influencing Resource Planning: Financial status of the contractor (RII=0.8390); adequacy of labour (RII=0.8308); adequacy of plant and equipment (RII=0.8304); presence of qualified personnel (RII=0.8152); prompt honouring of payments certificates (RII=0.7901); level of project documentation (RII=0.7410); compliance with safety procedures (RII=0.7154); type of procurement system (RII=0.6949); weather (RII=0.6127) and contractor’s ICT Compliance (RII=0.5897). The most significant factor was financial status while the least important was contractor’s ICT Compliance. Multiple regression analysis revealed that higher levels of Resource Planning are associated with higher levels of adequacy of labour and equipment, ICT compliance, high level of project documentation, high financial status, prompt payments, type of procurement, identifying the number of people required, establishing quantities of equipment, quantification of amount of materials. The analysis also revealed that higher levels of Resource Planning are associated with lower levels of Compliance with safety and bad weather. Ankrah, A. (2007). An investigation into the impact of culture on construction project performance. University of Wolverhampton. Bon, R., & Crosthwaite, D. (2000). The Future of International Construction. London: Thomas Telford Publishing. Field, A. (2000). Discovering statistics using SPSS for Windows: advanced techniques for the beginner. London: Sage Publications. Gates, L. P. (2010). Strategic Planning with Critical Success Factors and Future Scenarios: An Integrated Strategic Planning Framework. Software Engineering Institute, (November), 67. Hair, J., Anderson, R., Tatham, R., & Black, W. (1998). Multivariate data analysis. Upper Saddle River, N.J.: Prentice Hall. Iyer, K., & Jha, K. (2005). Factors affecting cost performance: Evidence from Indian construction projects. International Journal of Project Management, 23, 283–295. Joshi, R., & Patil, P. V. Z. (2015). Resource Scheduling of Construction Project : Case Study, 4(5), 563–568. Mattila, K. G., & Abraham, D. M. (1998). Resource Leveling of Linear Schedules Using Integer Linear Programming. Journal of Construction Engineering and Management, 124(3), 232–244. Mbugua, L. M., Harris, P., Holt, G. D., & Olomolaiye, P. . (1999). A framework for determining critical success factors influencing construction business performance. In 15Th Annual ARCOM Conference (pp. 255–264). Mendoza, C. (1995). Resource Planning and Resource Allocation in the Construction Industry. University of Florida. Nosbisch, M., Co, K. P., Winter, R., & League, L. (2005). Managing Resource Leveling CPM Schedule Logic. Salleh, Rohaniyati, Kajewski, Stephen, Yang, J. (2009). Critical Success Factors of Project Management for Brunei Construction Projects: Improving Project Performance, 334. Saqib, M., Farooqui, R. U., & Lodi, S. H. (2008). Assessment of Critical Success Factors for Construction Projects in Pakistan. First International Conference on Construction In Developing Countries (ICCIDC–I) “Advancing and Integrating Construction Education, Research & Practice,” 392–404. Schweiz, I. N. D. E. R. (2014). An Approach for Solving Resource Leveling Algorithm Simulation Abstraction, 103(1). Simon, S. M. (2017). Effect of Top Management Support on Resource Planning and Leveling (RP & L) Among Contractors in the Kenyan Construction Industry. 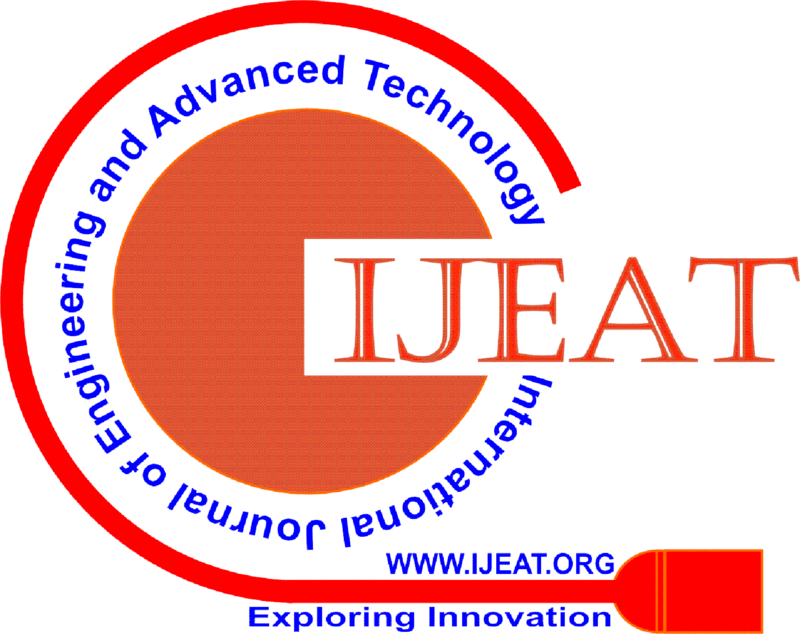 International Journal of Engineering and Advanced Technology (IJEAT), 6(5), 183–187. Simon, S. M. (2018). Evaluation of the Resource Leveling Techniques Employed by Contractors in the Kenyan Construction Industry. International Journal of Innovative Technology and Exploring Engineering (IJITEE), 7(4), 8–12. Simon, S. M., Gwaya, A., & Diang’a, S. (2017). Exploring the Practice of Resource Planning and Leveling ( RP&L ) Among Contractors in the Kenyan Construction Industry. International Journal of Soft Computing and Engineering (IJSCE), 7(1), 44–52. Takim, R., & Akintoye, A. (2002). Performance Indicators for Successful Construction Project Performance. Association of Researchers in Construction Management, 2(September), 2–4. Tawalare, A., & Lalwani, R. (2012). Resource Leveling in Construction Projects using Re- Modified Minimum Moment Approach, 6(2), 733–735. Trigunarsyah, B. (2005). Factors that Influence Contractor ’ s Risk Response Planning in Controlling Cost of Road Construction Project in Indonesia 2 . Risk Response Planning as a Tool for Project Cost Control, 125–133. Winter, R. (2006). Proper Implementation of Resource Leveling By Ron Winter Consulting. Zanen, P., & Hartmann, T. (2010). An Overview of Tools for Managing and Controlling Construction Projects (No. 3). Abstract: The main aim of this project is to create automation in manufacturing and assembly field. The usage of robotic arm for assembly process in industries will have more benefits. The installation of robotic arm in Salzer Industry in assembly section to quick up process and also to reduce the manual work and time consumption. Keywords: Project, Robotic, Salzer Industry. Antonio Esposito - Fluid power with application. Prentice hall of India private limited, 1980. Bolton, W., Pneumatic and hydraulic systems, Butterworth-Heinemann, Jordan Hill, Oxford,1997. Catalogue of Janatics pneumatic product, Janatics Private Limited Coimbatore. Design data book –compiled by faculty of mechanical engineering. S.G. College of technology, Coimbatore. Festo Didactic KG – Fundamentals of control technology, Esslingen-1998.Festo Pneumatic Catlogue - Festo Pvt Ltd. – Bangalore. Werner Deppert/Kurt Stoll., Cutting Cost With Pneumatics, Vogel Buchverlag Wurzburg, 1998. Ajitha A.R., Chandrakaran S., Sheela Evangeline Y.
Abdullah, W. S., Alshibli, K. A. and Al- Zoubi, M. S. (1999). “Influence of pore water chemistry on swelling behavior of compacted clays”. Applied Clay Science, Vol. 15, pp. 447-462. Alawajji, H. A. (1999). “Swell and compressibility characteristics of sand bentonite mixtures inundated with liquids”. Applied Clay Science, Vol. 15, pp. 411-430. Al-Zoubi, M. S. (2008). “Swell characteristics of natural and treated compacted clays”.Electronic journal of Geotechnical Engineering, Vol. 13. Arasan, S. and Yetimoglu, T. (2008). “Effects of inorganic salt solutions on the consistency limits of two clays”. Turkish journal of Engineering, Environment and Science, Vol. 32, pp. 107-115. Giridhar, V., Kumar, P. S. P., and Venkatasubbaiah, M. C. (2015). “Experimental studies on clay, bentonite and leachate as liner material”. International Journal of Innovative. Gleason, M. H., Daniel, D. E. and Eykholt, G. R. (1997). “Calcium and sodium bentonite for hydraulic containment applications”. Journal of Geotechnical and Geoenvironmental Engineering, Vol. 123, pp 438-445. Matthew, G. A., Oluwole, A. A., and Shodolapo, O. F. (2009). “Influence of Calcium Sulphate on Subsoil cohesion and angle of internal friction”. Journal of Applied Science Research, Vol. 5, pp. 297-304. Naeini, S. A. and Jahanfar, M. A. (2011). “Effect of salt solution and Plasticity index on undrain shear strength of clays”. World Academy of Science, Vol. 73. Oluremi, R. J., Solomon, I. A., Rebecca, A. O., and Solomon O. A. (2011). “Assessment of Cassava waste water on the geotechnical properties lateritic soil”. The Pacific Journal of Science and Technology, Vol. 13, issue-1. Abstract: Sasthamcotta Lake is the largest natural fresh water lake in Kerala, known as “Queen of Lakes”. This lake is located in Kollam district between 9º 0′- 9º 5′ N latitude and 76º 35′- 76º 46′ E longitude at an elevation of 33m above MSL. This lake has an area of 373 ha and volume of 22.4 km3. It is one of the 26 sites in India included in the Ramsar list of wetlands of international importance. The Sasthamcotta Lake is a drinking water source for about 700000 people lived in Kollam District and is also one of the major tourist attraction places. Inland navigation and fishing are the major economical based activities takes place in this lake. This lake is facing degradation due to anthropogenic activities such as directing human waste, soil erosion due to destruction of vegetation, construction activities etc leading to the deterioration of environmental quality as well as decrease in the surface area and depth. The present study was carried out to assess the physico chemical and biological quality of water in Sasthamcotta Lake. In this study 16 water quality parameters were analyzed for water samples collected from 27 sampling points. The results showed water quality deterioration during the months of November and December 2017 whereas in January and February 2018 slight improvement in water quality. An observation of present study helps to increase the effectiveness of management strategies to bringing back the originality of the lake. Keywords: Sasthamcotta, Physic Chemical Parameters, Ramsar Lists, Degradation, Water Quality Assessment. Tahera Aktar , Fatema Tuz Jhohura and Fahmida Akter (2016) Water Quality Index for measuring drinking water quality in rural Bangladesh: a cross sectional study, Journal of Health, Population and Nutrition, 35, 1-12. Mophin Kani, K and A.G. Murugesan (2011) Evaluation and Classification of Water Quality of Perennial River Tamirabarani through Aggregation of Water Quality Index, International Journal of Environmental Protection, 5, 24-33. Pesce, S.F., and Wunderlin, D.A., (2000). Use of water quality indices to verify the impact of Córdoba city (Argentina) on Suquía River, Water Research, 34, 2915-2926. Simeonov, V., Einax, J.W., Stanimirova, I., and Kraft, J., (2002) Environmetric Modelling and Interpretation of River Water Monitoring Data, Analytical and Bioanalytical Chemistry, 374, 898-905. Bartram, J., Cotruvo, J, Exner, M., Fricker, C., and Axec, G., (2002) Heterotrophic plate count measurement in drinking water safety management; report of an expert meeting Geneva, International Journal of Food Microbiology, 92, 241-247. Centre for Earth Science and Studies, The Union Department of Science and Technology and Council for Scientific and Industrial Research. Salin, Peter and Sreedevi, C (2013) Qualitative Evaluation of Sasthamcotta Lake By Using GIS, International Journal of Engineering Research and Applications, 3, 806-817. Mohammed Irshad (2015) Cashing in on Natural Resources Management: A Case Study on Depleting Sasthamcotta Fresh Water Lake in Kerala, National Resources and Conservation, 3, 50-56. Eric Jeppensen, Martin Sondergaard and Zhengwen Liu (2007) Lake Restoration: Successes and Failures and Long Term Effects, Journal of Applied Ecology, 44, 1-8. Athira, N and D.S. Jaya (2014) Assessment of water quality status of Anjarakandy River in Kannur District of Kerala, Asian Journal of Environmental Science, 2, 68-74. Divya, K.S and Mahadeva Murthy, S (2013) Study of Water Quality Assessment Using Water Quality Index (WQI) in Few Water Samples of Karnataka and Kerala State, International Journal of Recent Scientific Research, 3, 267-270. Lakshmi, E (2014) Dissolved Oxygen and Temperature of Periyar River, South India using QUAL2K, Journal of Water and Land Development, 75, 665-685. APHA 1989- Standard Methods for the Examination of Water and Wastewater, 22nd Edition, American Public Health Association, Washington, DC. BIS (1998) Drinking Water Specification Is No 10500, Bureau of Indian Standards. Suryalekshmi Prasad and K. Mophin Kani (2017) Comparative Assessment of Water Quality of Ashtamudi Lake through WQI, International Journal for Research in Technological Studies, 6, 23-29. Murugesan, A, Ramu, A and Kannan, N (2006) Water Quality Assessment from Uthamapalayam Municipality in Theni District, Tamil Nadu, India, Pollution Research, 25, 163-166. Shinde, S.E, Pathan, S.A, Raut, K.S and Sonawane, D.L (2011) Studies on the Physico-chemical parameters and correlation coefficient of Harsool-savangi Dam, District Aurangabad, India, Middle-East Journal of Scientific Research, 8, 544-554. Ancy Mol, P and Shaji, E (2016) Physico Chemical Characteristics of Surface Water Quality of Urban Ponds in Thiruvananthapuram District, Kerala, International Journal of Emerging Trends In Science And Technology, 1, 3431-3437. Sujitha, P.C, Mitra Dev,D, Sowmya, P.K and Mini Priya, R (2012) Physico-chemical parameters of Karamana River water in Trivandrum District, Kerala, India, International Journal of Environmental Sciences, 3, 1417-1434. June and Fred, C, Physical Chemical and Biological Characteristics of Lake Sharpe, South Dakota, USA, Tech. Rep. 0 (1-20) – 8, 1987. Pawar, S.K and Pulle, J.S (2005) Studies on Physic Chemical Parameters in Pethwadaj Dam, Nanded District in Maharashtra, India., Journal of Aquatic Biology, 20, 123-128.